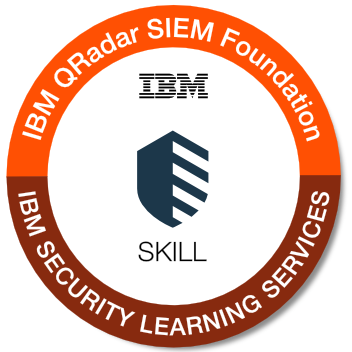 This is an IBM-issued and IBM-recognized badge that attests that recipients have demonstrated the knowledge to configure the processing of uncommon events in QRadar SIEM, manage reference data collections, and develop custom rules that apply to the events and flows in QRadar SIEM. 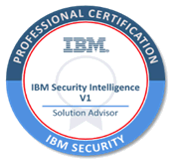 This badge earner is able to identify opportunities and influence direction across the IBM Security Intelligence portfolio. Overall, this solution advisor is able to discover, scope, plan, design and consult. The badge earner can recommend education, influence key decision makers, respond to Request for Proposals (RFPs) and Request for Quotes (RFQs), and understands licensing and pricing. This individual also understands infrastructure and application security, and competitive analysis. 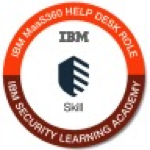 This is an IBM-issued and IBM-recognized badge that attests that the badge earner has demonstrated the knowledge to create Relevance expressions and manipulate Relevance objects and properties. The individual can create Fixlets® and develop basic action scripts. This badge earner has demonstrated the knowledge to navigate the QRadar SIEM user interface including the dashboard, and how to investigate offenses. The individual can also investigate an offense that is triggered by events or flows using asset profiles, rules, reports and advanced filters. GI is IBM Identity Governance and Intelligence, IBM's flagship identity management product. An individual who earns this badge will have demonstrated a broad understanding of the application and what a business user would need to know to be successful. The badge earner is familiar with the following 6 areas: Basic IGI concepts including navigation and terminology; Role Lifecycle Management; Risk Control Modeling; Certification Campaigns; Reporting; and New Features. 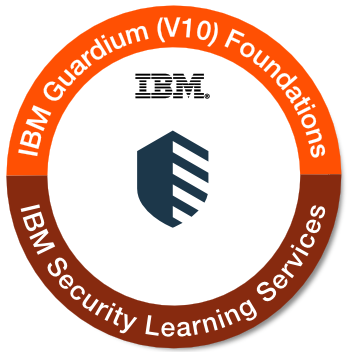 Badge earner has demonstrated the skill to configure Guardium V10 to discover, classify, analyze, protect, and control access to sensitive data. The badge earner can also demonstrate skills to perform a vulnerability assessment; to monitor data, file activity, and create reports; and to perform audits, alerts, metrics and compliance oversight processes. Congratulations on completing the IBM BigFix Platform Foundations course at an authorized IBM Global Training Partner. 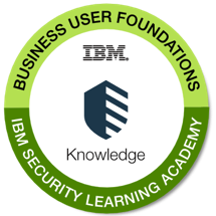 To earn the IBM BigFix Platform Foundations badge you must confirm your completion of the IS720 instructor-led course, indicate your agreement with the IBM Personal Data Agreement and then pass the quiz with a score of 80% or higher. This is an IBM-issued and IBM-recognized badge that attests the recipients have demonstrated the successful completion of the IBM BigFix Platform Foundations course. Help Desk personnel who successfully complete the requirements for the badge will have proven proficiency in providing Level 1 support to the mobile device users in an enterprise. Level 1 support can include resetting passwords, helping with enrollment issues, lost devices, configuration problems, and access issues.